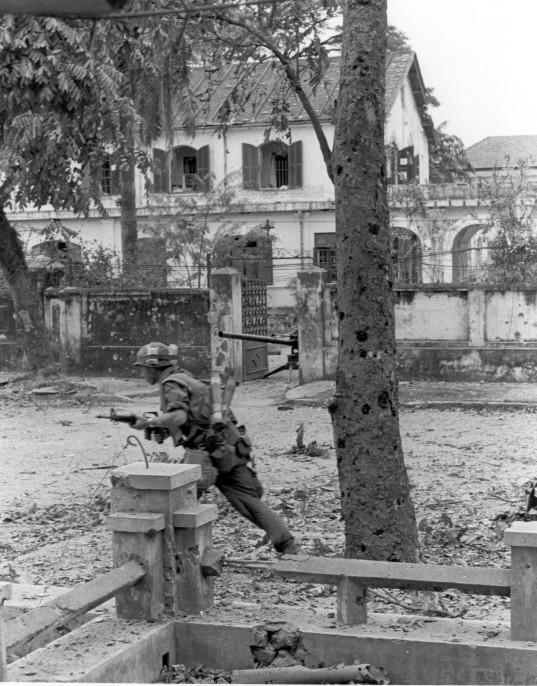 (114) Under Fire-- A Leatherneck of "A" Company, 1st Battalion, First Marines, moves out under intense enemy .50 caliber machine gun fire during heavy street fighting taking place in the old Imperial Capital of Hue. 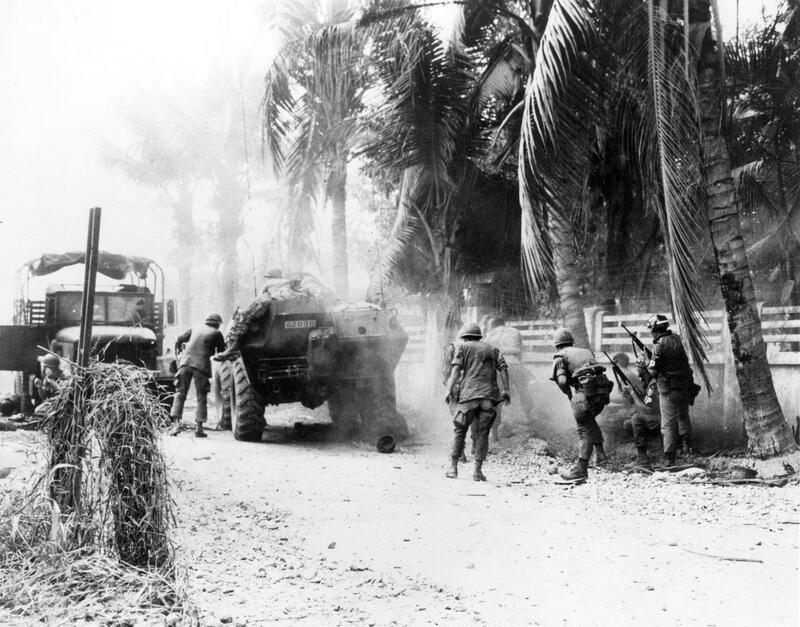 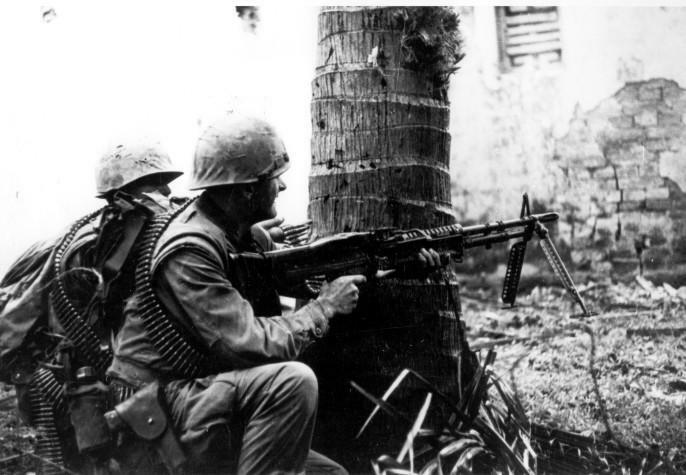 (024) Vietnam..... Marines of Co.C, 1st Battalion, Fifth Regiment, are engaged in a fire fight in the streets during Operation Hue City. 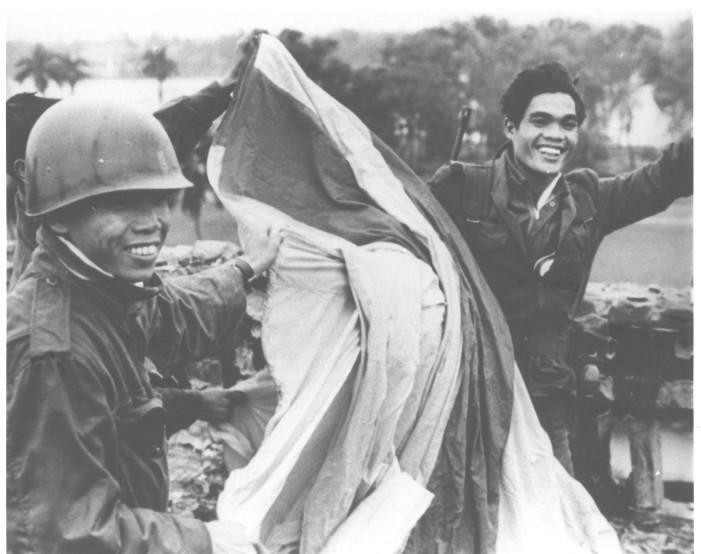 Victory At Hue - Vietnamese soldiers celebrate their victory over the North Vietnamese invaders of Hue with the raising of their national colors on the 200-foot flag pole from which a Viet Cong flag had flown for the 24 days of the battle. 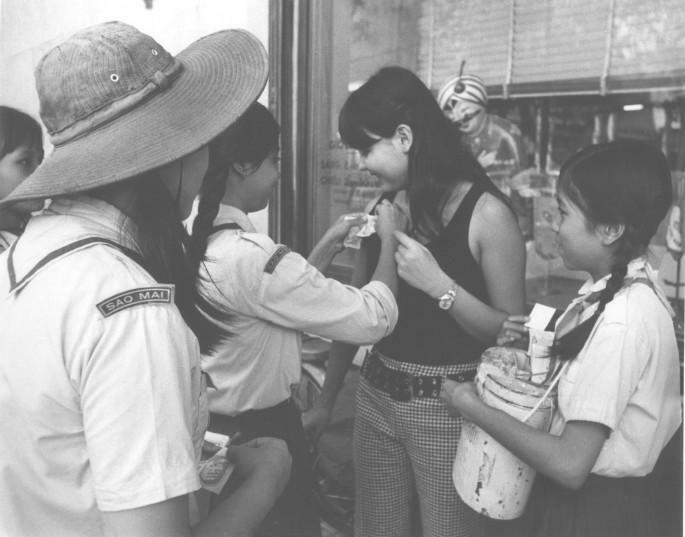 Exuberant soldiers unfurl their national colors on the south wall of the Citadel, overlooking the Perfume River, hours later, they assaulted and recaptured the nearby Imperial Palace, the last remaining point in the Citadel held by the Communist. 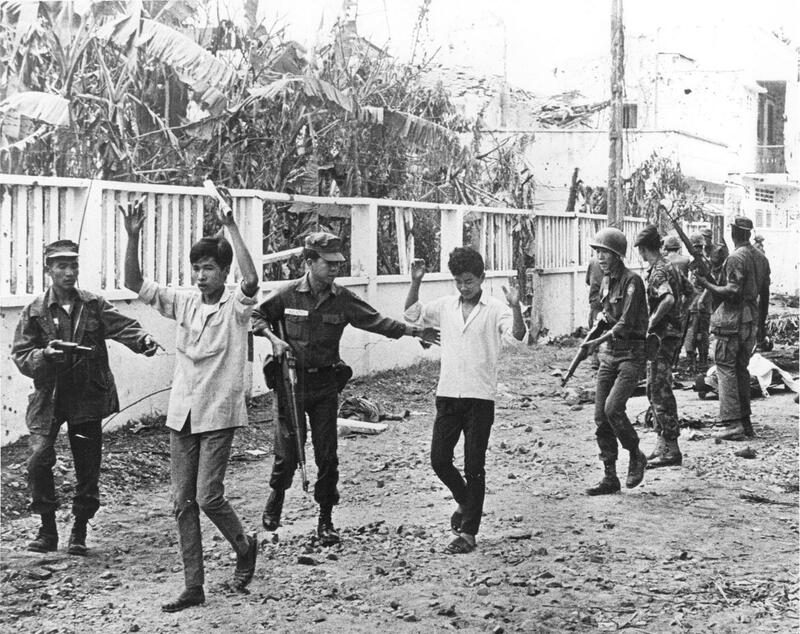 Victory At Hue - Vietnamese soldiers celebrate their victory over the North Vietnamese invaders of Hue with the raising of their national colors on the 200-foot flag pole from which a Viet Cong flag had flown for the 24 days of battle. 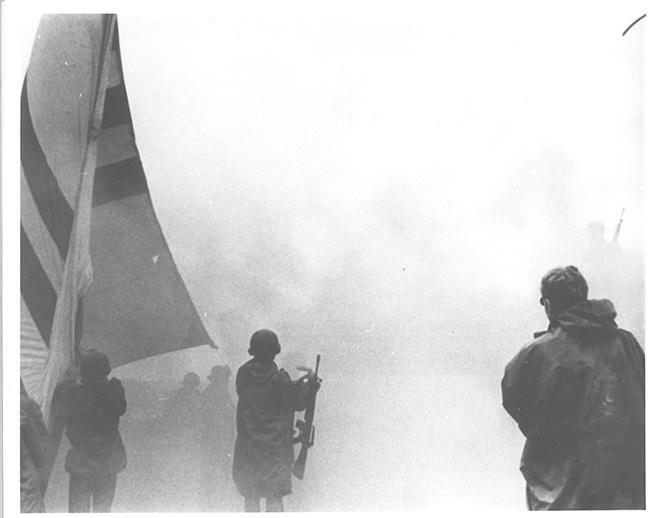 In clouds of colored smoke from grenades placed at the base of the pole, the huge flag of Vietnam billows in a stiff breeze as soldiers prepare to hoist it to the top of the pole. 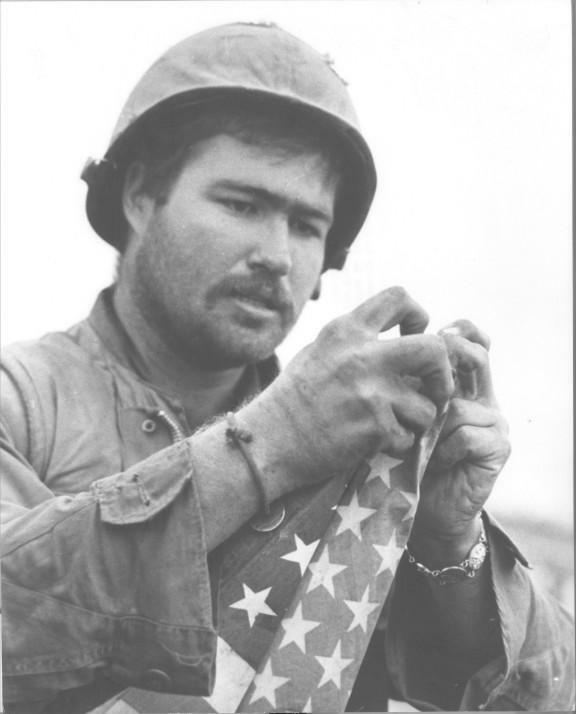 ; ; In clouds of colored smoke from grenades placed at the base of the pole, the huge flag of Vietnam billows in a stiff breeze as soldiers prepare to hoist it to the tope of the pole. 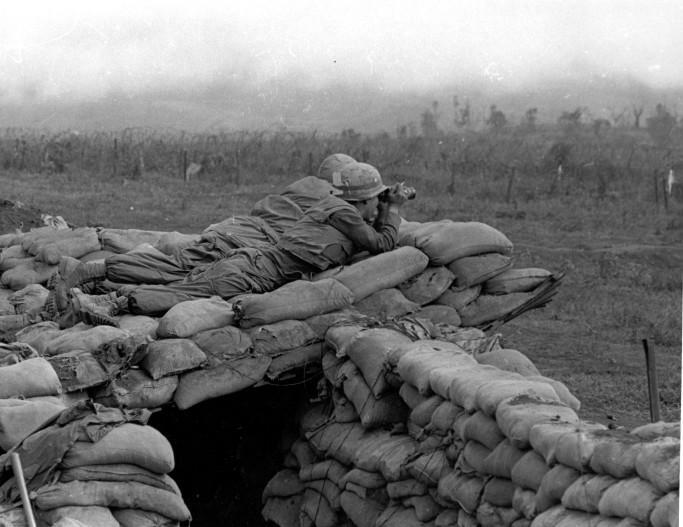 (060)Marines forward observers trying to spot North Vietnamese Army Mortar position from front lines at Khe Sanh. 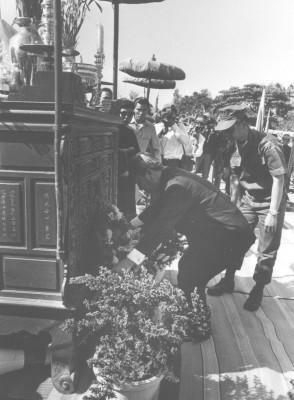 Vietnamese President Nguyen Van Thieu flanked by a military aide placing flowers before an outdoor altar. 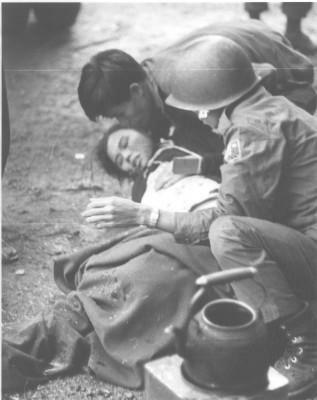 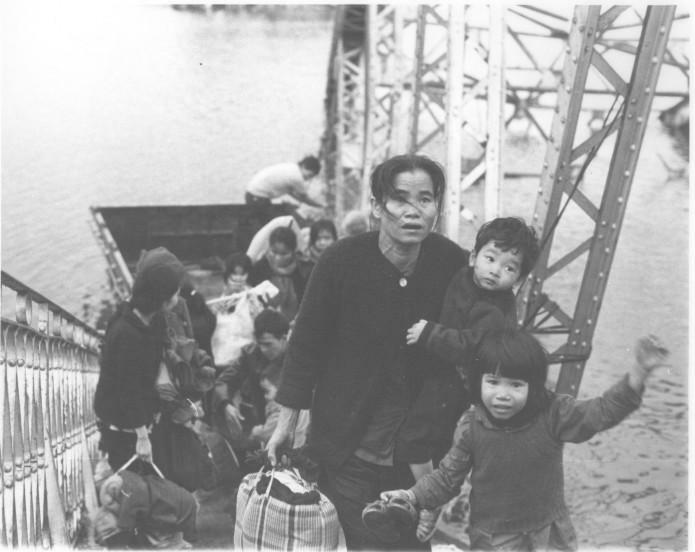 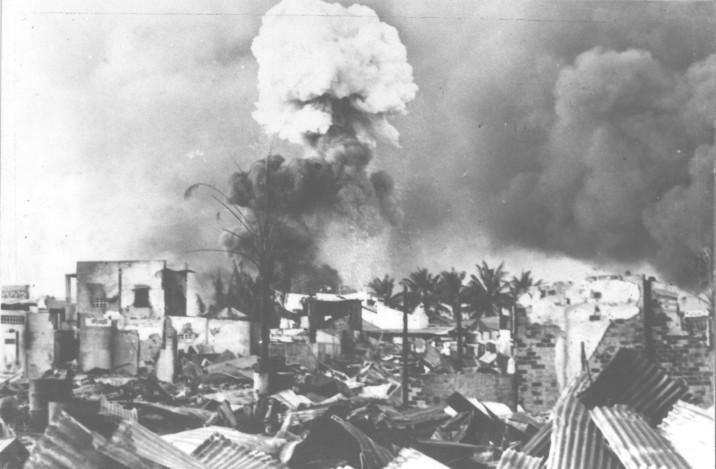 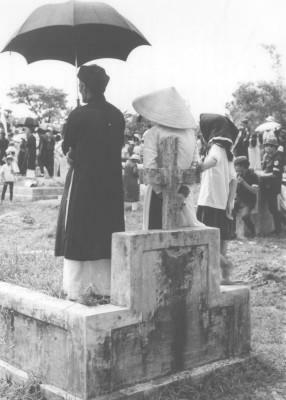 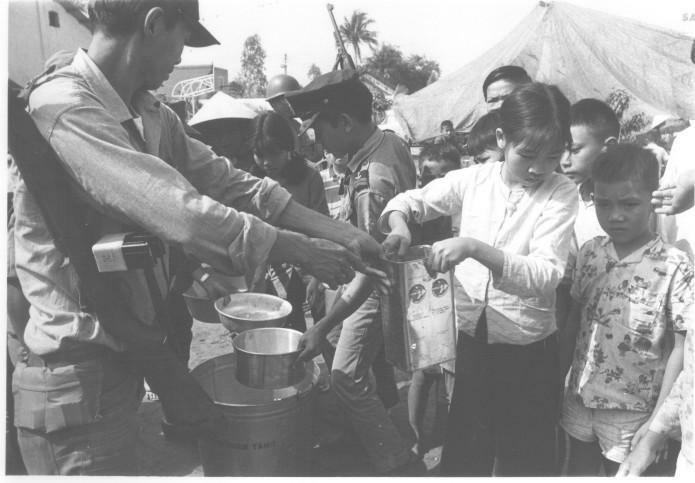 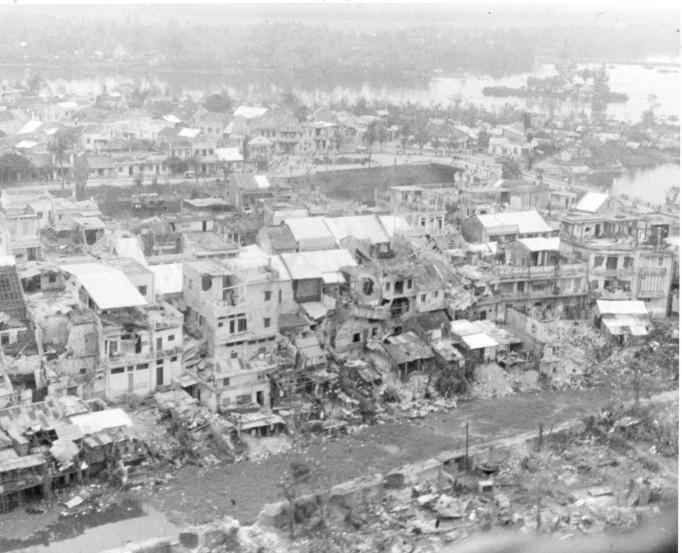 For more information about the Tet Offensive, see our comprehensive subject guide, listing many of the materials about this subject that are available in the holdings of the Vietnam Center and Archive, including links to digital materials in the Virtual Vietnam Archive.